In a recently released report, Berg Insight determined 7.8 million people in Europe used connected care solutions by year-end 2018, including traditional and next-generation telecare and telehealth solutions, across 30 European nations. Adoption will increase at a compound annual growth rate of 14.1% through 2024, when it reaches 17.3 million users, the research firm reported in "Connected Care in Europe." Adoption is driven by familiar factors: spiraling healthcare costs, aging populations and the need to make the healthcare system more productive. Providers want to cure diseases or, at least, enable people to live longer, happier lives. The most common connected care solutions include wearable alarms -- "I've fallen and I can't get up." For those, there's little automation; users must push a button or yell to activate the alarm and reach an operator who then summons help. Next-generation telecare automatically trigger alarms based on the user's break in routine, lack of movement or other giveaways such as skipping medication. Telehealth monitors and remotely manages connected medical devices such as pacemakers and artificial valves, as well as chronic conditions including diabetes and hypertension. Next-generation telecare eventually will dominate the sector by 2024 with 8.3 million users, followed by today's leading segment -- traditional telecare -- with 6.2 million patients. Telehealth will round out the segment with 5.6 million users, Berg Insight predicted. "The trends we saw back [in 2014] are still the trends that are mostly discussed in the industry. 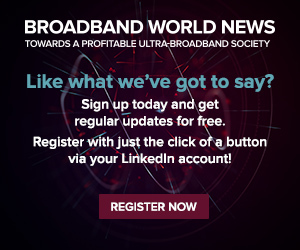 The digitalization process (going from PSTN to broadband or cellular), for example, started in the Nordics in 2014 and is still ongoing across Europe," Johan Fagerberg, co-founder and chief analyst at Berg Insight, told Broadband World News. "While the Nordic countries are almost done, other European countries have just begun. Perhaps reflecting the slow-moving trends, the market growth also has been somewhat slower than expected, at least for telehealth solutions." One reason for the slow speed? The purchasing process often involves public procurements, requiring multiple partners teaming up for a total solution -- a role familiar to service providers involved in public-private partnerships in other verticals or those already active in enterprise or government accounts. "The value that broadband suppliers can bring to such a deal, [in addition to] delivering the connectivity itself, is perhaps the local presence in terms of customer support and installation services," Fagerberg said. "For smaller customers such as municipalities or local health systems, there could be an opportunity to act as the middle-man that delivers connected care as a service -- as Telenor did in telecare." Tier one service providers may leverage anonymized data collected by connected health devices to develop better IoT equipment and enhance healthcare services, wrote Sajid Rahman, CEO of Telenor Health in a company blog last month. "We are using big data to predict the spread of communicable diseases, improving diagnostics by AI and helping machines read pathology reports more accurately than humans," Rahman wrote. "We are using data to train robots to perform surgeries and connect public health records across hospitals to improve allocation of resources, from developing precision medicine to drug discovery." Mental health also is garnering more interest for connected solutions -- and this IoT-based service could benefit individuals and populations of people living together for their career or education. "We are seeing a couple of smart-home actors that are offering connected care solutions in Europe. However, I do not think that such solutions have made it into the specifications in the public procurement processes yet," Berg Insight's Fagerberg said. "One of the most promising application is the use of activity data for analytics, to predict the onset of for example loneliness, depression or a disease. Both incumbents and start-ups are investing in this field."